Rugby was introduced at the School in September 1953, and only four years later the formation of OIRFC was discussed with the Ol’s committee with ‘encouraging results’, although no doubt with ‘some gloomy headshaking’ among the OI Football club which had already existed for fifty-five years. Cyril Smith organised a trial match vs Old Gaytonians B on 26th October 1957 and was encouraged by the 31-0 victory. Following the forming of the first OIRFC committee, they announced that the inaugural match vs Old Gaytonians A would be on 28th December 1957 at the School. The team could not expect to match the stronger opposition. Nevertheless the 8-34 defeat showed a worthy effort. Wilson scored the club’s first try following up his own penalty kick which rebounded from a post, Whitlock converted and Wilson followed with a penalty. Next came an impressive win against Royal Naval College and defeats against strong opposition from Old Hamptonians and an Osterley XV. The club completed its inaugural season creditably with five wins and five losses. In the second season, 58/59, a full fixture list was established and a second XV had four games. This club was aided by schoolboy players who also played rugby on Saturday mornings up to Christmas, and a few old boys who were playing elsewhere and transferred to OIs. The major acquisition was Trevor Jones, newly arrived at the School as a teacher, who proved to be a major influence on OI rugby. Ex-England international, John Kendall-Carpenter, commented in a radio broadcast that where a school suddenly sprung into rugby prominence one usually found an exiled Welshman in charge. That broadcast took place shortly after Sid Gale and Mike Whiteside won England Schools caps. Both went on to play for first class clubs, Rosslyn Park and Harlequins respectively, but also had seasons at OIs and were club captains. The School continued to produce quality OI players e.g. Dave Parry who went to Harlequins; Stuart Johnston to London Scottish; Alan Pearce played for the Royal Marines, before returning to the club, and later played for Manly in a Sydney grand final; and Jim Waterman who went on to captain Bath RFC. The 59/60 season saw more players available to meet the challenge of an improved list of twenty-nine fixtures, and ended with our first tour (Isle of Wight) starting a tradition that lives on today with two tours per season. The first half of the 60’s saw more progress, with a regular A XV, and an Extra A XV began to make appearances. 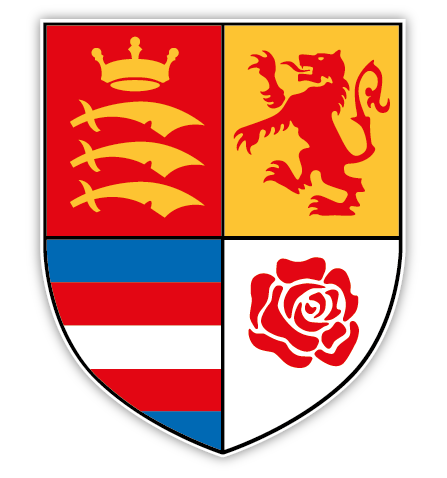 In 63/64 the first XV only lost six games, and beat Old Meadonians (now Chiswick) for the first time in nine attempts. In 64/65 there were only three defeats and in 65/66 only one, against Old Thamesians who won 6-3 having lost to us 43-3 nine months earlier. Mike Lane’s captaincy and pre-match ‘fire and brimstone’ pep talks did much to take the club through its best ever season. The Playfair Rugby Football Annual for 65/66 commented that OIs were easily the heaviest scoring club with 533 points (100 better than the next best total). In 67/68 under the captaincy of Sid Gale and his deputy John Edwards, another influential Welsh teacher, the club had mixed results but saw our first ever tour to the Continent. After a succession of poor recruiting years in the late 60’s, the club opened its doors to non-Isleworthian former pupils and teachers, and this injection of new blood helped the club go from strength to strength. We competed every year in the Middlesex Sevens Prelims and in 1970 won the Old Gaytonians Sevens. Throughout the 70’s there was generally an even balance of victories and defeats, with Alan Pearce being consistently the highest points scorer. In 75/76, captain Nick Beattie, did much to strengthen the club, encouraging new players from the School where he taught. This continued into 76/77 when the 1st XV captained by Alan Blake had its busiest ever season winning half of its thirty-eight matches, and a 3rd XV made a welcome return captained by Tony Winslade, recently returned from the USA. This team was undefeated up to Christmas when it got promoted by the club en bloc to become a new successful 2nd XV, many of who went on to be 1st XV regulars. Whereas two seasons before the club struggled to field two teams, in February 1977 four teams won for the first time in the club’s history. On a couple of Saturday’s five teams were selected, although cancellations meant that we never fielded all five. In 77/78, Rob Ambridge became captain for the first of his two-year stints, and hence the first to captain the club for four seasons. The 3rd XV was now firmly established and a 4th XV often appeared. Up until then our only pitch was at Busch Corner, but in 1978 we secured a pitch at Cranford school which was used for many years. Progress continued in 78/79, and in the Middlesex Sevens Prelims, we were only one game away from playing London Welsh for a place at Twickenham, and Old Hamptonians were beaten for the first time in eleven years. The club also started, with a win against Ruislip, an occasional mid week and Sunday Vets (originally over 30’s, then over 35’s) team with players from all teams. The 79/80 season saw the first non old boy 1st XV captain, Steve Hayes, a northerner who introduced mid training for the first time! In 1979 floodlights were erected for winter training at Wood Lane, and the effects were soon felt and even London Irish A were defeated. In 80/81 eight first XV regulars were unavailable, however captain Ambridge’s perseverance meant that six of the last eight games were won and this success continued into the next season. The club also ran a regaular successful 2nd XV and 3rd XV. Our first twenty five years was finished in great style: with a successful season on the pitch, including wins against British Airways by more than fifty points in the Middlesex Cup, Old Hamptonians (also in their 25th season), Chiltern, Johnnians and a strong Exeter A XV; a Silver Jubilee dinner and first dinner/dance; and our first ever major two week tour (Florida). The above is based on an article produced for the Silver Jubilee brochure by Roy Hough and Tony Winslade. Two other humorous articles by Robin Poke and the late Nick Beattie were also published. Copies of these three articles are available on request.